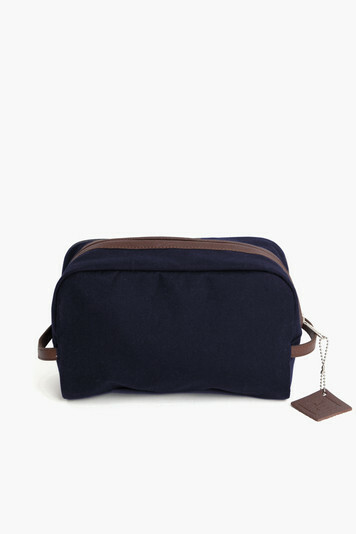 AU Inc. | Navy Sailwax Dopp Kit | AU Inc. 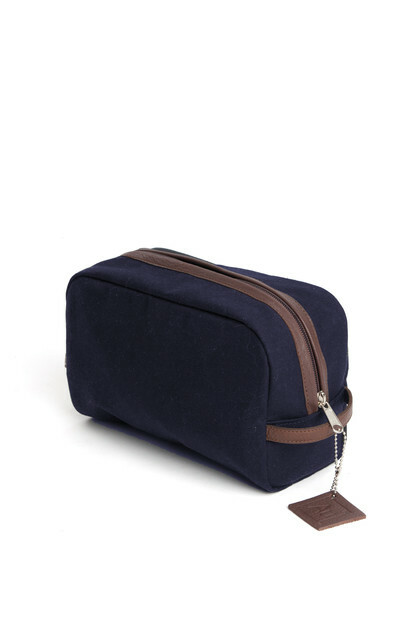 AU signature shaped Dopp makes enough room for your entire travel toiletry needs with a full zipper closer.The sailwax material is the winning combo offering style and stain proof all in one. Keep the messy toothpaste marks and lotion spills after rough mornings hidden and all your overnight needs nicely contained with this timeless piece. My newly-employed son loves this handy bag! Masculine, durable and functional! Absolutely thrilled with the dopp kit! I gave it as a gift to my boyfriend for Christmas and he loved it! 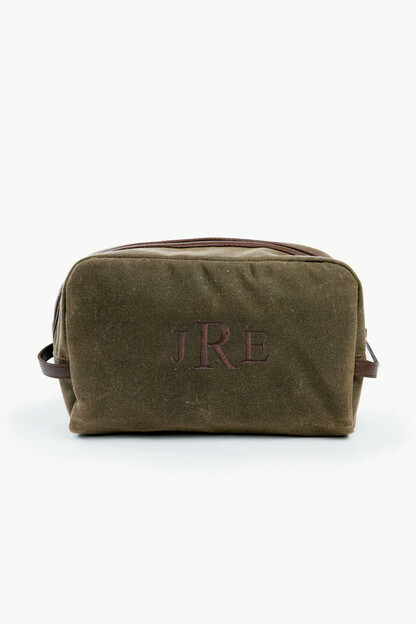 Dopp Kit: just what the doctor ordered! Thank you very much for providing this great Christmas gift for my son! I purchased this for dad for Christmas to replace his old travel one that he has had for years. 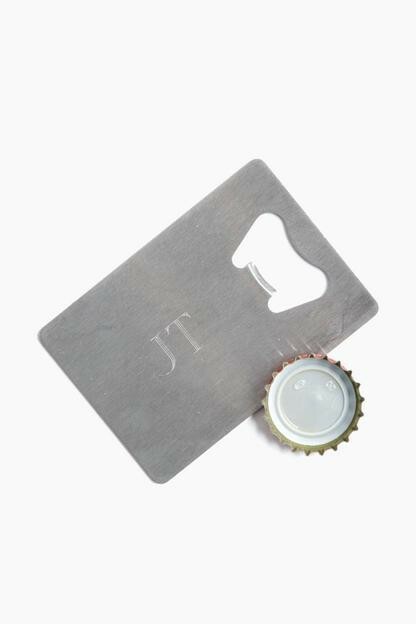 The personalization was the perfect touch to show that the gift was purposeful and thoughtful! My mom loved the idea so much she ordered the navy one for my uncle. I ordered this for my son for Christmas and he loved it! The quality is great and the interior pockets are a nice touch. Thanks for making it so easy! Bought this as a present and it was a hit. Very large, can hold all the neccessities! I purchased the sailwax Dopp kit for my boyfriend to replace the lovely ziploc bags that he normally tosss in his carryon bag. The material is thick enough to protect from spills and will accommodate shaving cream, razor kit and shampoo/ conditioner, etc. The monogram looks very tidy as well. Perfect size, material durable. 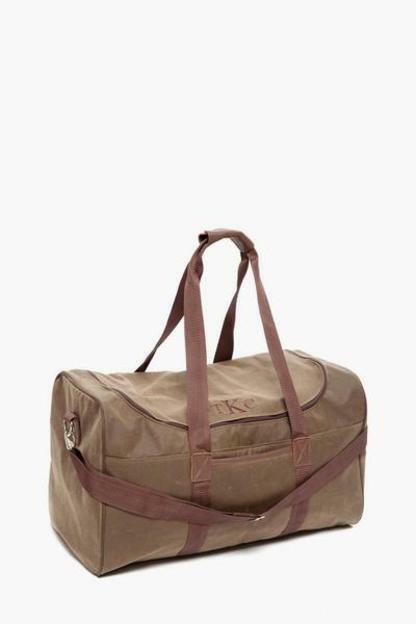 Great gift for a guy that travels. 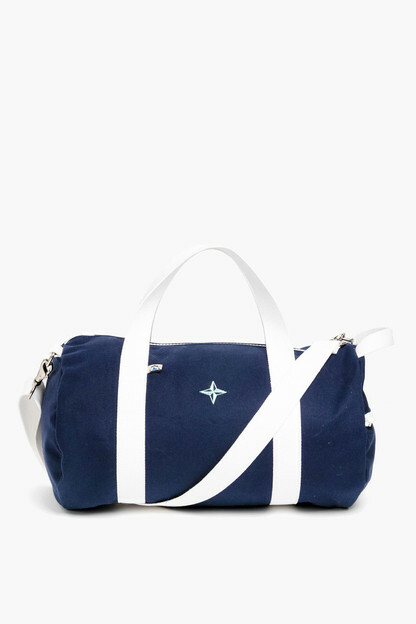 I ordered the sailcloth Dopp kit in navy and got a brown monogram as recommended. The monogram turned out great, and I'm so happy I listened to what color Tuckernuck recommended. It shipped very quickly too!